Follow the holidays and special celebrations followed by Hindus, Christians, Jews, Jains, Parsis, Buddhists, Muslims and others in this calendar. Secular celebrations from North America (U.S.A.) and India are also included (government and public holidays). Festivals for all - 'Tis the Season. Click in to see all the holy-dates of December 2010. A month to give thanks, November is full of holidays and special days for Americans and Indians of different spiritual traditions. Celebrate the birthdays of Gandhi, Maharishi Valmiki, and the special days of Columbus Day, Halloween, and all the special days of Navarathri! Muslims, Hindus and Jews share some holidays during September 2010. Keep busy this month with Ramadan, Onam, Independance Day, Karkidaka Vavu, Parsi New Year, Varalakshmi Vratham, Avani Avittam and Rakhi. When is Tisha B'av in 2010? When does Ramayana Masam start in 2010? When will Muslims celebrate Lailat al Miraj in 2010? Click in and see the calendar. May and June are combined because there are so few holidays in June! Have fun in May and June! Easter, Tamil New Year, Passover, Vishu and much more to keep us busy and creating new holiday traditions in April 2010! Holi, Ugadi, St. Patrick's Day, Ramanavami, Passover and more are celebrated this month. Click in to see more! All spiritual faiths highlighted in my calendar celebrate a holy-day this month! Click in to see more! Welcome 2010! See which holidays and holy-days are celebrated in January 2010! 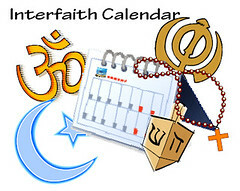 Click inside for the interfaith and multifaith calendar. Straddling two cultures can be difficult, especially when raising children abroad or being a member of a cross-cultural and interfaith marriage. For those looking for a way to inspire cross-cultural sharing, I have created a unique India-America Cross-Cultural Interfaith and Secular Calendar. Click in to see more! MORE THAN 100 HOLY-DAYS and HOLIDAYS FEATURED!! December is a time of celebrations for many. Of course Christmas is one of the most celebrated festivals in the world. However, did you know that in December, Hindus in Tamil Nadu celebrate Karthikai Deepam (a festival of lights), Jews celebrate Hannakah, Muslims celebrate Al Hijra and African Americans celebrate Kwanzaa? Everyone has something to celebrate in December! Right: Christmas rangoli I made of homemade cookies, Diwali Diyas and inspiration. November, unlike October, is a little less chaotic for many of us when it comes to secular and spiritual holidays. Indians and Americans look forward to celebrating or observing Kerala Day, Daylight savings time, Guru Nanak's birthday, Veteran's Day, Children's Day, Thanksgiving, and Eid-Al-Adha. Click in to see the calendar details. Download a FREE PDF in Lulu. 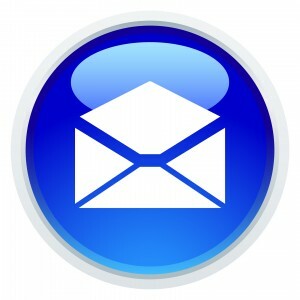 I have noticed a number of people coming to my site looking for Hindu Holiday dates in 2010. Here are a list of select Hindu holidays in 2010. Wondering when certian secular and spiritual holidays of Indians, Americans, Hindus, Buddhist, Jews, Christians, Muslims are in August 2009? Holidays in August 2009 include: Avani Avittam (changing of sacred thread), Rakhi, Krishna Jayanthi, India's Independance Day, Parsi New Year, Ramadan, Onam and Ganesh Chathurthi. Bridging secular and spiritual calendars of two countries:India and America, click inside to see what holidays or holy-days are awaiting us in May 2009! It's all here! If you're Hindu, Sikh, Jain, Jewish, Christian, Muslim from India or America, your holidays are here!! Opportunities to subscribe to this calendar for free, click inside! !